Hema Bhatt was born and raised in Malaysia. She began her career in Travel and hospitality, managing a travel agency, before becoming a homemaker and to raise her family. While a homemaker, she started a home-based service to deliver gifts for all occasions, employing single mothers, enabling the latter to make a living and contribute positively to society. 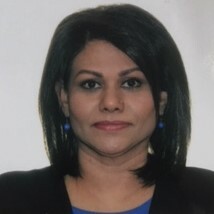 Hema moved to Vancouver in 2003 and started Natu’Oil Services in 2004, in partnership with her husband, followed by Global AgriTrade Corporation in 2006. She took on progressively greater responsibilities in her organizations, following health setbacks for her husband and is currently Vice-President, Operations. Natu’oil Services specializes in international trade of palm oil based ingredients for the animal feed and food manufacturing industries. Its mission is to be the premier supplier of oils and fats to all industries using highly streamlined logistics, customer service par excellence and products of the highest quality. Natu’oil distributes the Olera brand of Certified Sustainable Palm Shortenings and Oils as well as Copia Coconut Oils, and is a member of Roundtable on Sustainable Palm Oil with certified supply chain status. Global Agri-trade Corporation and Natu’Oil Services Inc. are part of the Bhatt Group of Companies involved in the development, marketing, and distribution of products primarily from Palm and Coconut oils into the animal nutrition, human food, and technical industries, in Canada, USA, MENA, EU, and CIS markets. Founded in 2006, Global Agri-trade Corporation is a joint venture of Natu’Oil Services Inc., and Heinrich Nagel KG. Hema is a Member of the Vancouver Board of Trade and also of the Rotary Club.